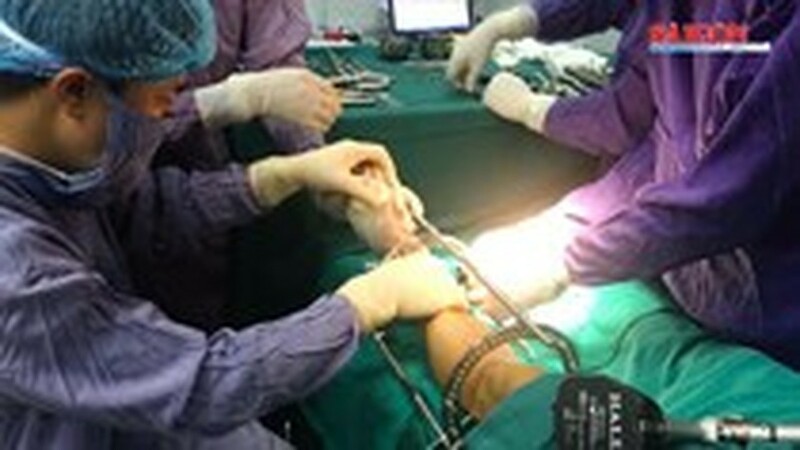 Vietnamese surgeons have performed operations of leg lengthening to treat some people who have legs of unequal length. These surgeries can add up to 10.1 centimeter of length to a leg. 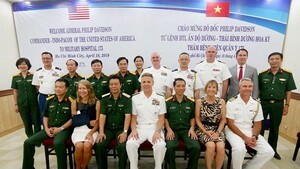 Hundreds of leg lengthening surgeries have been carried out in the Military 108 Hospital's Department of General Trauma and Orthopedics in Hanoi, the unique infirmary in Vietnam can perform such operation. Surgeons said patients will undergo three operations. The bone to be lengthened is cut. Metal pins or screws are placed through the skin and into the bone. Pins are placed above and below the cut in the bone. Stitches are used to close the wound. A metal device is attached to the pins in the bone. It will be used later to very slowly (over months) pull the cut bone apart. This creates a space between the ends of the cut bone that will fill in with new bone. When the leg has reached the desired length and has healed, another surgery is done to remove the pins. Averagely, it takes at least 60-70 days to recover. Surgeries will add up to 7 centimeters to 10 centimeters of length to a leg. After one year, patients can walk or even play sports. From 2011, the hospital surgeons has just placed four screws. It takes two or three months to recover. However, physicians warned the technique should be carried out in big hospitals.